a season of longing and anticipation, during which we prepare for the coming of Jesus. The church year begins with Advent, as life begins with birth, starting four Sundays before Christmas. 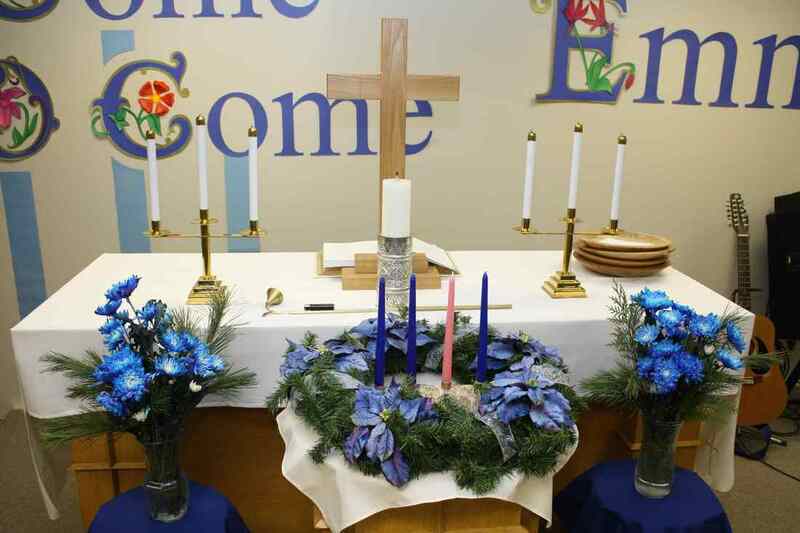 The liturgical color for Advent is blue, which symbolizes waiting and hope. A day and a season when we celebrate God’s coming among us as a human child: Jesus, Emmanuel (which means “God with us”). The liturgical color for Christmas is white, which reminds us that Jesus is the Light of the world. Christmas lasts for 12 days, from December 25 to January 5.
is celebrated on January 6, when we remember the Three Wise Men’s visit to the Christ child. The colour for Epiphany Day is white. During the time after Epiphany we hear stories about Jesus’ baptism and early ministry. The colour for these Sundays is sometimes white and sometimes green. On the last Sunday we celebrate Transfiguration. The colour for this day is white, and we hear the story of Jesus shining bright on the mountaintop. is a season when we turn toward God and think about how our lives need to change. This is also a time to remember our baptism, and how that gift gives us a new start every day! The color for Lent is purple, symbolizing repentance. Lent begins on Ash Wednesday and lasts for 40 days (not including Sundays) and ends on Saturday before Easter Sunday. The Three Days are the most important part of the Christian calendar because they mark Jesus’ last days, death and resurrection. These days (approximately three 24-hour periods) begin on Maundy Thursday evening and conclude on Easter evening. On Maundy Thursday we hear the story of Jesus’ last meal with his disciples and his act of service and love in washing their feet. On Good Friday we hear of Jesus’ trial, crucifixion, death, and burial. 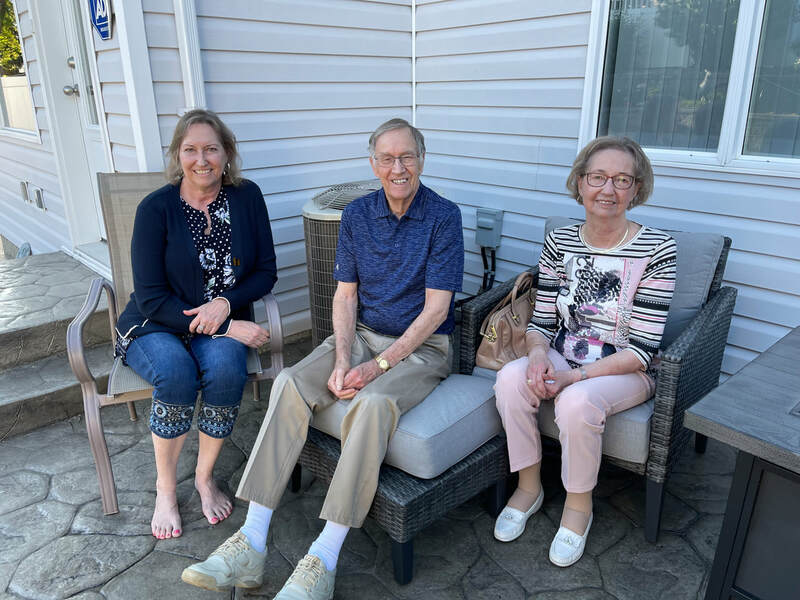 On Saturday, at the nighttime Easter Vigil, we hear stories about the amazing things God has done for us. It is a night of light, scripture readings, baptismal remembrance, and communion –the greatest night of the year for Christians. On Easter Sunday we celebrate Jesus’ resurrection and our new lives in Christ. Easter falls on a different date each year- sometime between March 22 and April 25. Easter is not just one day, but a whole season when we celebrate the resurrected Jesus. The season begins on Easter Sunday and lasts for 50 days (including Sundays). The colour is white, symbolizing resurrection and joy. The Day of Pentecost falls on the 50th day of the season (Pentecost means 50th), when we honor the Holy Spirit and the church’s mission in the world. This day uses the fiery color of red. Time after Pentecost is the longest season in the church calendar, lasting almost half the year. Sometimes this is called “ordinary time” because there aren’t many special celebrations during these weeks. 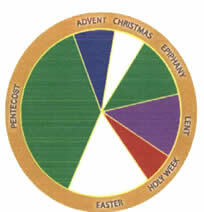 The liturgical color for the time after Pentecost is green, representing life and growth. Each week we hear a different story about Jesus’ ministry from one of the four Gospels. Special Festivals are celebrated throughout the year. Some festivals occur the same time every year, such as Reformation Sunday (last Sunday in October) and All Saints Sunday (first Sunday in November). Others, like saints’ days, we might celebrate when their day falls on a Sunday. The color for these days is either white or red.